The dreaded crate has such a bad rap. But it is an undeserved one to be sure. The crate is a great tool for training and containing your pets. Most people misunderstand the purpose of crating and crate training. Many individuals just CRATE their canines to confine them from the living areas of their homes or to punish them when they believe their pet was bad. The crate is a wonderful tool but it is often misused. In order to have a happy and contented canine in the crate it is important to train your pet to the crate in a humane and gentle manner. Dogs will take to a crate with no problem as long as they are introduced to it under safe and comfortable circumstances. One should never just cram a dog into a crate and lock the door. This only creates fear in your beloved pet. The best method for crating your pet is to begin with the door always open. Introduce your canine to the crate as a safe place and a place your pet will want to be. This can be easily achieved by placing your pet's food and/or water container inside the crate for him or her to enter in order to eat or drink. Snacks can also be introduced into the crate to lure your pet into the crate environment. After a while begin to close the door while your pet eats or drinks but stand by so that you can immediately release your pet before it begins to get anxious about being confined. Little by little increase the time your pet is confined while providing some activity for your pet while crated. A chew toy is a good way to occupy your pet while it is in the crate. Doing this each day will increase your pet's feeling of security inside the crate. The canine will feel at home and be happy and comfortable in an environment that he or she has been able to adjust to in a kind way. Never leave your pet crated for extended periods of time. Three hours is probably a good limit. Make sure that you have provided your pet a potty break before crating. Do not introduce food in large amounts if you plan to be away as it can cause your pet to have to go potty and can create anxiety when this need arises while crated. A snack that will last and give your pet activity while crated is the best thing to leave for him or her to occupy idle time. 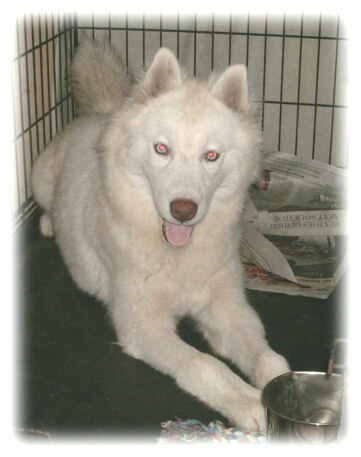 Never use the crate as a form of punishment for your beloved Siberian Husky companion or any other canine companion. Do not place your crate upon any carpeted floors since your canine may try to get out by scratching and chewing the carpet to shreds. Plan ahead of time so that you avoid this event happening in your home. Also make sure that no items are left on top of or beside the crate that your canine can reach. 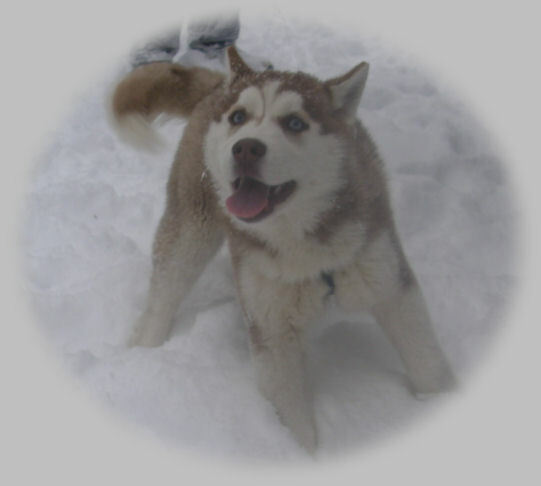 From my own experience I can honestly say that Siberian Huskies will stretch their legs out beyond the confines of a wire crate and grasp whatever they can reach. The crate is a good tool if used properly to keep your pet safe and your home safe when you have to leave for short periods of time. If you must leave your pet for longer than a few hours it is best to have a larger place prepared outdoors. 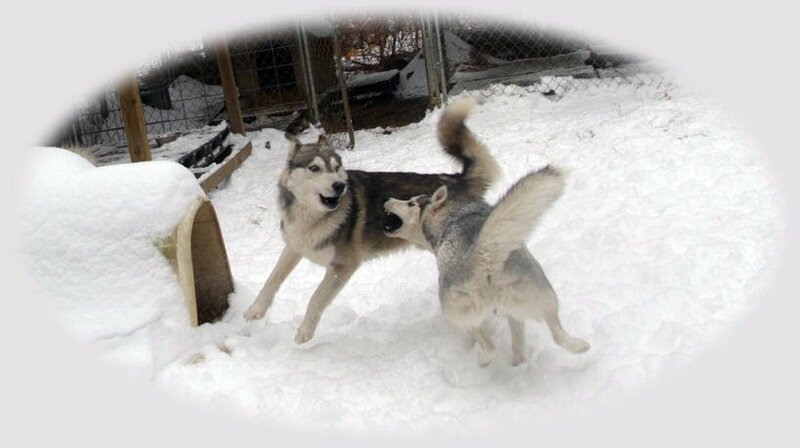 If this is not possible then I would advise against getting a Siberian Husky as these wonderful animals do not do well crated for long periods of time. Have you ever been upset over your new puppy or dog chewing up your personal things like your new shoes, your favorite movie or your expensive sofa? If so, then you are not alone. There is a perfectly simple reason for why your dog chews. All canines chew as a part of their learning and maturing process. One primary reason is teething which can produce much discomfort in young canines. They need something to chew on to help alleviate the discomfort. While they are young it is advisable to monitor young pets as they go through their growing cycles. Chewing is a part of that cycle. It is important to ensure that the things they get their teeth on aren’t favorite pieces of furniture, shoes, cell phones, i-pads, electrical or computer wires or articles of clothing. In order to take their focus away from chewing cherished items or furnishings young dogs need to be provided things that they are permitted to chew on. 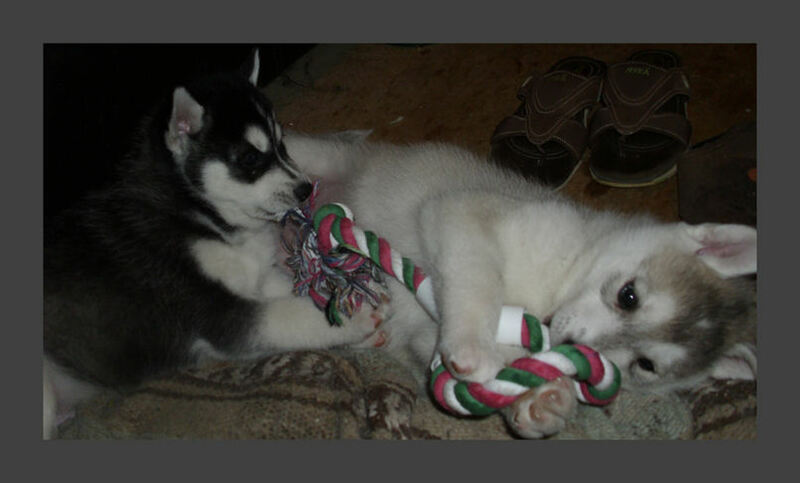 Puppies and young dogs under two have to be taught what they can and cannot chew. This knowledge must be instilled into the dog with regular training and with proper attention to the needs of the canine. Keep important furniture and other important items out of reach while training. Teaching a young canine not to chew on things that are important is a necessary responsibility. The dog’s desire to chew can be satisfied by providing the canine something particular to chew on for his or her own comfort. Teething is not always a reason for canine chewing. Another reason your canine will chew is out of boredom, especially when your canine has no mate or social pal to romp with regularly. He or she will hunt for articles to chew own for entertainment. This is a sign that your pet is bored and needs alternatives to alleviate the boredom. It is important to begin teaching a canine what it can and cannot chew on while it is young. Be prepared that this will last until at least 18 months of age. Your canine is not fully mature until around two years of age. When teething is the issue, soothe your canine with a frozen cloth to chew on, a rolled up, soaked and frozen pair of socks or an ice cube. This will ease the pain in the dog’s gums the same way as a teething ring would with teething children. Be certain to watch your dog if you do give him or her a cloth to insure that your pet doesn’t choke or swallow the cloth. Doggie ropes that are available in the pet section of most stores can also be soaked in water and frozen to give your pet during their teething stage. Because boredom can also trigger chewing it is important to make sure your canine does not get bored. To help with the boredom you might try making sure your pet is getting enough play and exercise. One idea to provide some entertainment for your canine would be to fill a “Kong” style toy with your dog’s food at his dinner time. This will give him or her something to focus on while eating which will provide an active session which will help with providing your pet another source of activity. Filling a King toy with peanut butter can also be the ideal thing to give your pet when you have to leave him or her alone for any length of time. Another option besides the “Kong” toy is to get a canine chew bone that is hollowed out and fill the hollow with peanut butter. Your canine will focus on getting the peanut butter instead of focusing on chewing on other items in your home while you are away. At right Chikara playing in the snow. A way to discourage your dog from chewing the sofa is to put a substance which has an unpleasant taste (like Bitter Apple spray) on the fabric or legs. Generally you would put this where the canine might want to chew. Increasing your pet’s physical activity can dispel boredom. Taking your dog out and about with you on walks around parks and the town can be another way to get all of that destructive behavior out of your dog. Create a sudden noise or tell (not yell) your dog a firm “NO” or “ah ah” to distract your dog if you notice it chewing any of your possessions. Give your canine an alternative, like the Kong toy, but steer clear from using your old shoes and other such items as your dog isn’t going to notice the difference between the old shoes or newer ones. Allowing your pet to chew on such items could also create an intestinal obstruction that could be dangerous. The best way to stop your dog from chewing is by giving your beloved pet your attention. It is up to you to teach your canine what it can and cannot do. The training should be consistent throughout the family or your dog will get confused. As you gradually work with and train your dog you will begin to notice a change in behavior and a reduction in his or her desire to chew. Copyright Betty Raynor-Davis October 2010.